Webbing is one of the most important tools we can have as a firefighter with it’s limitless uses. The ingenuity firefighters have always amazes me especially when it comes to webbing. 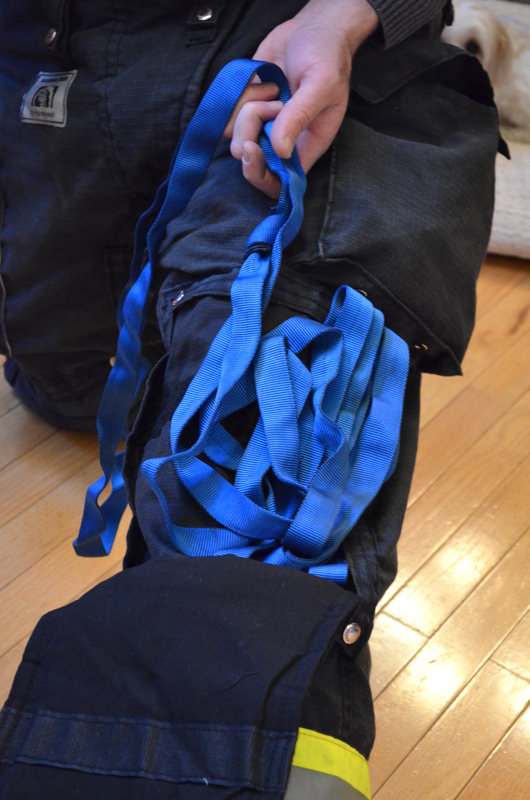 We are going to discuss only 7 of the ways firefighters use webbing. 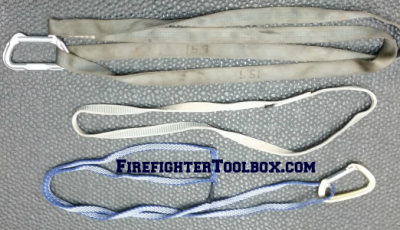 The most common webbing firefighters carry is the one inch (1″) tubular. The lengths vary from 20-25 feet. 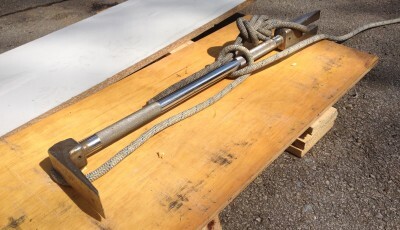 Shorter lengths have their use, but for the most flexibility 20 to 25 feet fits our applications well. 2- It must come out easily and not be tangled up or a ball of knots when you deploy it from its storage area. NOTE : When we actually go to use the webbing we will more than likely have gloves on so keep this in mind when you choose your storage method. Storing Your Webbing In Your Knee Pad Area. 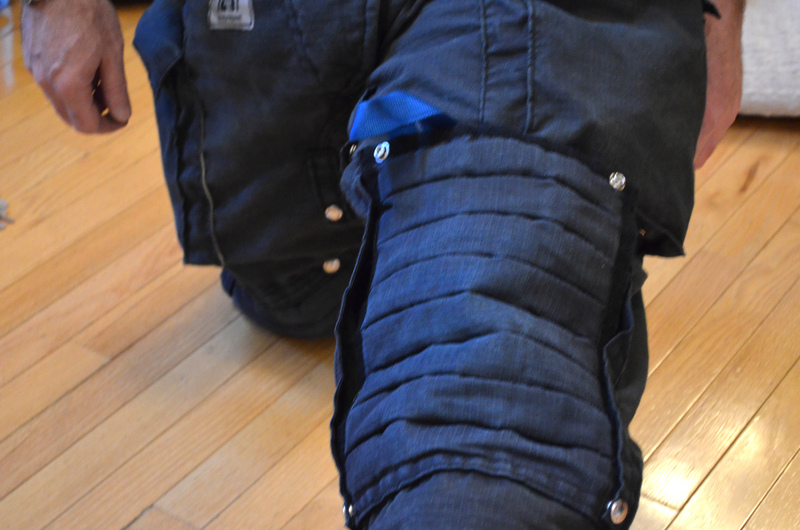 Webbing Stored In Your Pant Knee Area. Where you store your webbing is important, however HOW you set-up your webbing and use it is of equal importance. 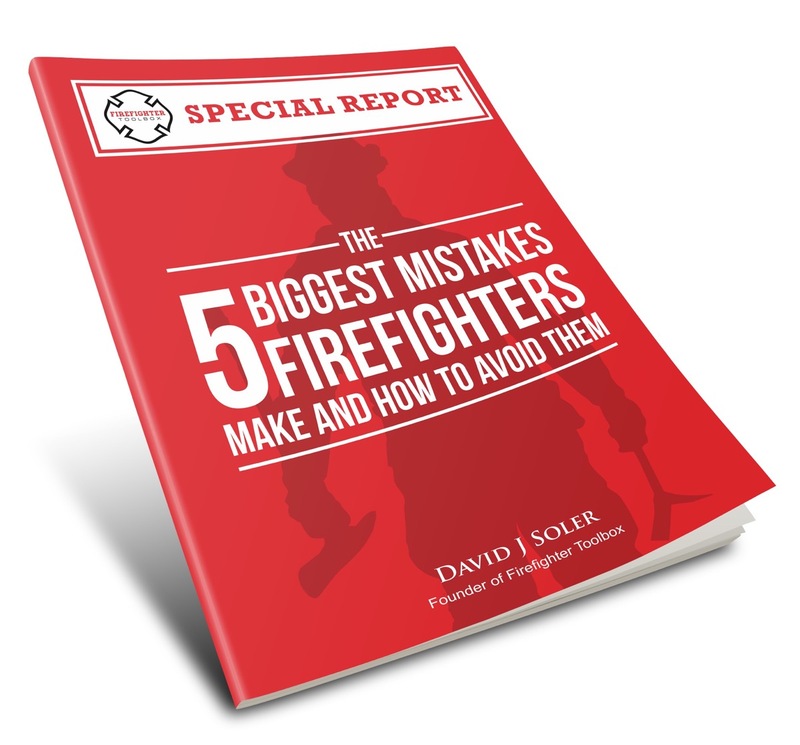 Again so many choices, I encourage you to do research and ask questions to find what will work best for you, for your district and for your tasks on the fire ground. My personal preference is to carry (2) 25 foot lengths of webbing. Actual usage of the webbing is only limited by your imagination. There are probably dozens of uses for this versatile piece of equipment, we will examine just 7 of them here. 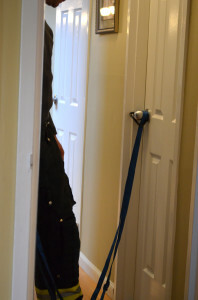 If we are forcing a door with unknown or high heat and smoke condition behind it, we want to take precautions that the door does not fly open and we are left scrambling on our hands and knees trying to control the door. 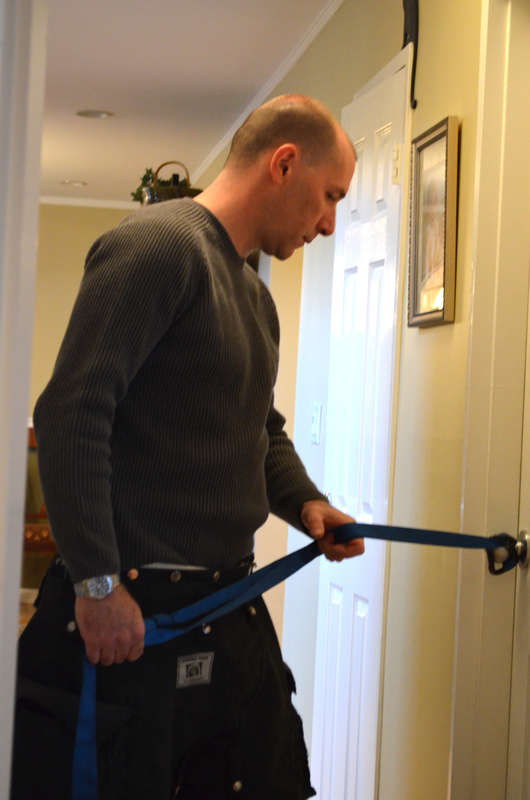 This is simply done by attaching a length of our webbing around the door knob. 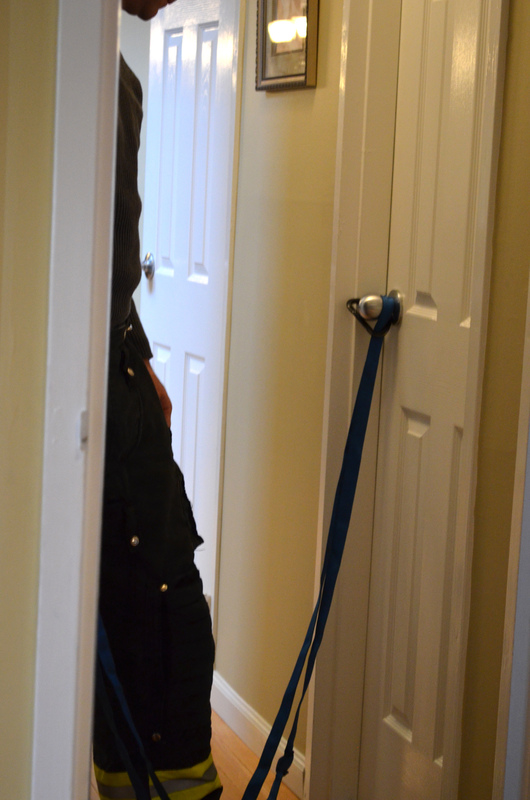 The officer can stand out-of-the-way holding the webbing or one of the members actually forcing the door can simply stand on the webbing effectively controlling the door. Hose Strap-Webbing works exceptionally well as a hose strap. 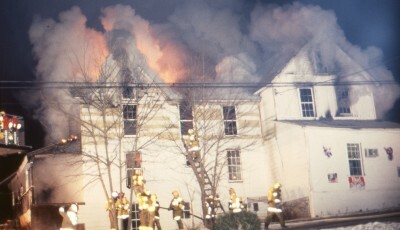 It will aid in controlling a two and half-inch line by the backup firefighter looping it around the line and placing over their shoulder. It can also be used to aid in a well hole stretch or if an exterior stretch is called for, the webbing can be dropped down, attached to the line and hoisted up to wherever needed. 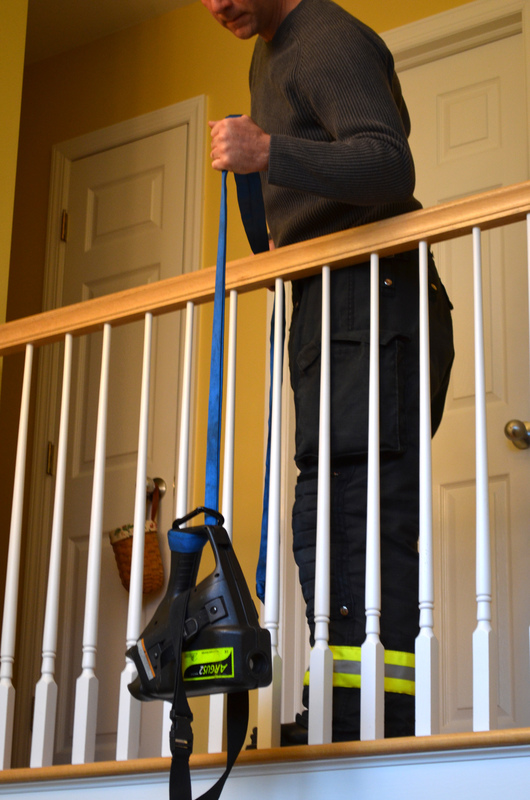 Similar to an exterior stretch tools can be hoisted to a roof, second floor or wherever they are needed depending of course on the length of your webbing. A straight length with a carabiner works well here. Simply drop the carabiner end down (or attach it before you go up) to either a saw or set of other tools and hoist up. When I bring up the subject of webbing use during a vehicle extrication I frequently get strange looks. 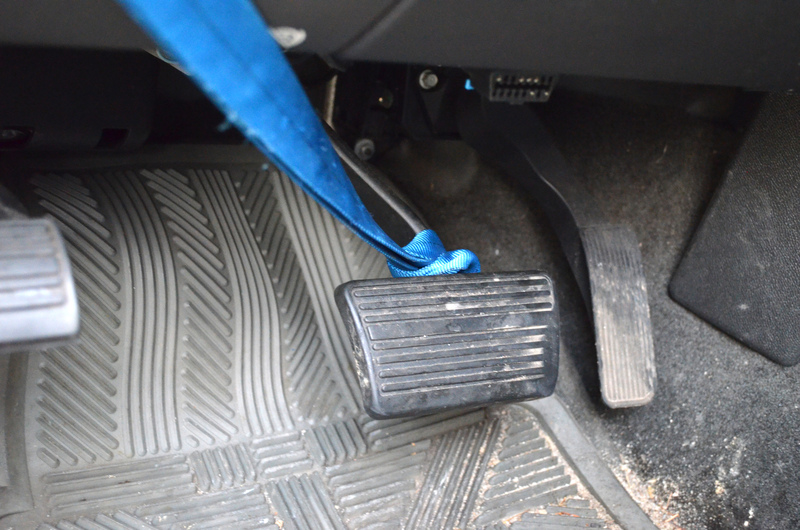 You arrive on scene of a motor vehicle accident and find the driver’s door needs to be taken but also that the patient has a foot entangled underneath the brake pedal. To extricate the patient the brake pedal needs to be moved out-of-the-way but it is difficult operating with any tools down there. To facilitate an easy move of the brake pedal simply take your webbing out and wrap the steel end of the brake pedal as low as you can get it. With the assistance of another firefighter pull on the other end of the webbing. The brake pedal will move out of your way enabling the patients foot to be freed easily. Not the preferred method of “bailing out” (your personal escape system is), however in an emergency your webbing can serve as a self rescue device provided you have a tool with you. 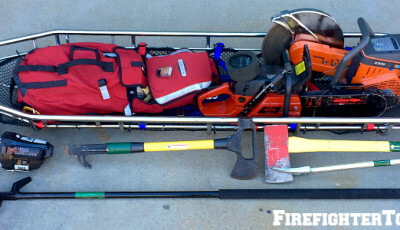 A Halligan works well for this purpose. If the need to escape was to arise you would deploy your webbing, secure it to the Halligan bar, anchor the tool into the window sill and make your escape. Please make sure you receive the proper training before attempting this technique. 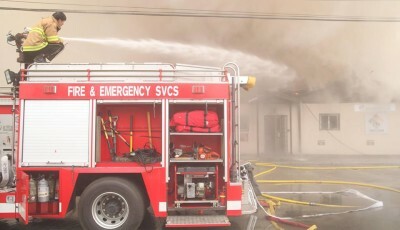 I recommend everyone take a firefighter survival course if available. 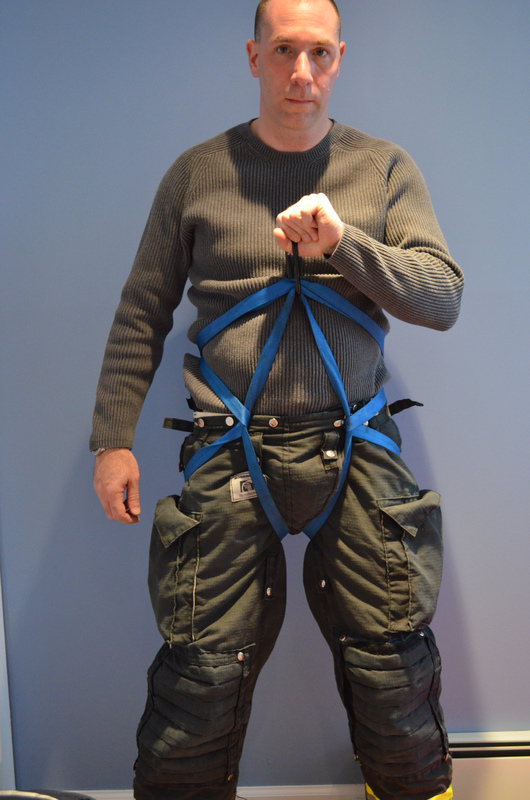 The Hasty Harness allows us to tie a temporary lifting harness out of a single piece of webbing. If you are not proficient at this you will find out that it is anything but hasty. It is a skill that needs practice. 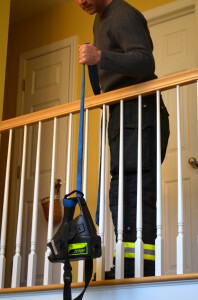 Commonly thought to be used for firefighter rescue, it is an idea. 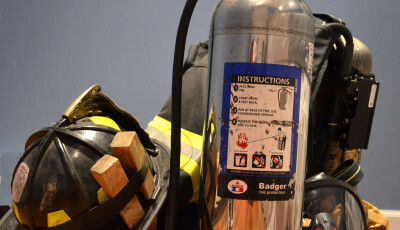 Although if time is of the essence utilizing the SCBA as your harness is a better option. It can come in handy if you need to lift a conscious victim for a rescue or to do a drag. 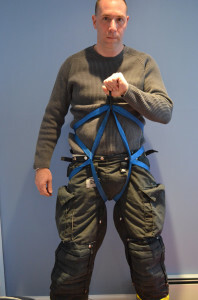 For more information on the tying of a Hasty Harness please see the end of the article. Lashing is used to tie a patient to a backboard or into a stokes basket for victim removal. Generally, we may need a longer length of webbing to perform such techniques. It is recommended that to do any type of lashing, we use a webbing in the area of thirty feet. It may be a wise move to take a length of webbing this length and store it with a backboard and a stokes basket, this way we know we always have the appropriate length when needed. As you can see the uses for a simple length of webbing is only limited by the training and imagination of a firefighter. I encourage you to practice these techniques, share them with your fellow brothers and sisters. If you would like to add to this list, please share it in the comments below. Great article about webbing. I think it’s such an important tool that I buy a piece of webbing and a caribiner for my FF 1&2 students when I teach classes. Hi Scott, thanks for the comment. Webbing is always excellent to give out, my dept. buys it by the roll. We cut it up in 25 or 30 ft. lengths and give to our members. Great tip about the knots with the carabiner, I am going to give it a try. 1. Unlocking Car doors when you have a window cracked, you make a tie it together and feed over the handle and pull. 3. Tag line to your search partner when searching a room, one stays on the wall and the other is on the webbing. 4. I carry 3 one for a hasty seat but can do a full swift seat and chest harness if I have time. and the other is more of a utility strap for misc items which most you have mentioned. 5. Another one is to move charged hose line around. If you ever have to move charged hose lines we are taught to hug and walk forward. Well if you have a strap you lark foot it and pull. We have moved 400 feet of 2.5 in minutes with 2 people instead of trying to muscle it. Great tips Christian, thank you for sharing. I am going to try the car door one, never seen that before but it does make sense. A firefighter from Millwaukee has a YouTube Chanel, Dale pekel . He does an excellent job showing how to tie the water knot, a hasty harness, etc.. He also has a lot of other great tips and tricks. i use the webbing in the Halligan bar and ladder, nailed from behind ladder and tied. ( so only one firefighter can operate).